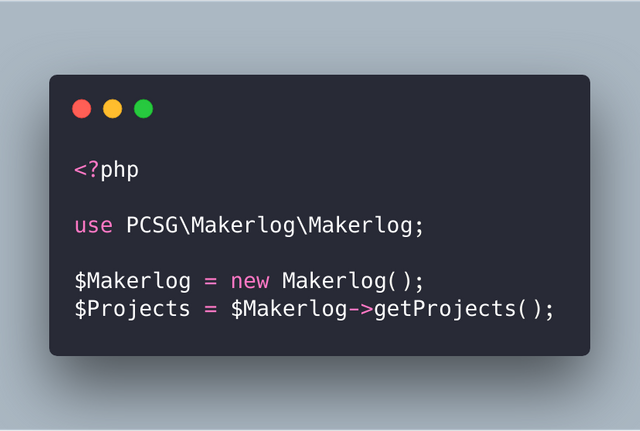 As I already mentioned, I develop the PHP client for Makerlog in my spare time. Makerlog is the dead-simple task log that helps you stay productive and ship faster. There you can meet other makers and share your progress. Today I finished the Projects API and laid the groundwork for the Products API. I implemented the Projects API. In addition, I have written a basic documentation. Again I give a small overview how the two new objects Project and Porjects can be used. Basically, I stuck to the other API, so similarities are not surprising. 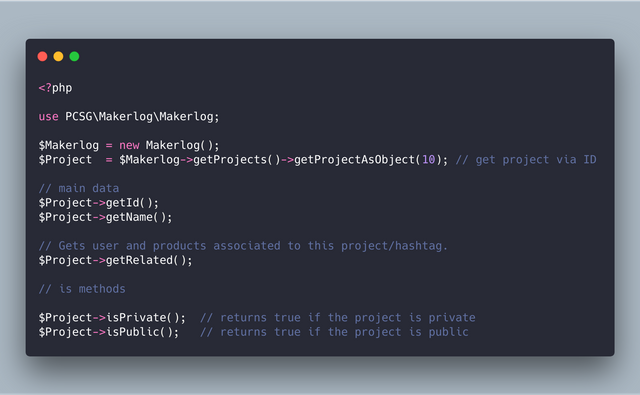 Projects in Makerlog are more like hashtags for products. Unfortunately the naming is a bit confusing but since I write a client for the network, I prefer to stick to the names of the respective network and don't introduce any more names. To create a new project, you must use the projects object. With a normal project which has been received via get(), no operations can be executed. 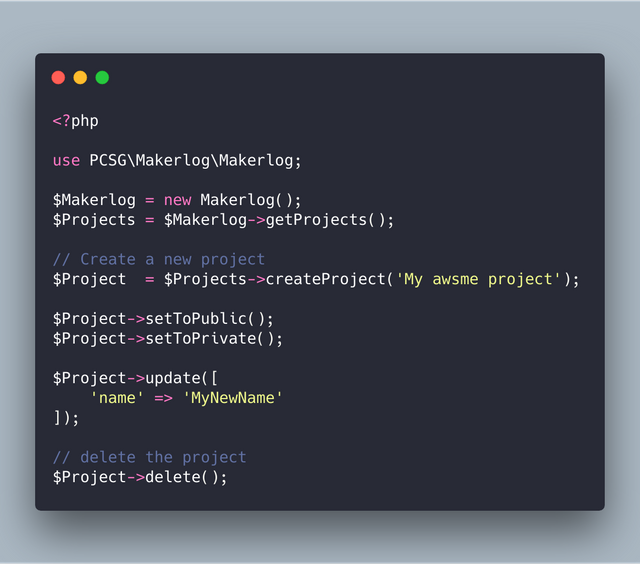 If you want to change the project, you should get a project object. This can be done via getProjectAsObject(). A project object has several getter methods, so it is quite easy to access the data of the project. After creating a project it is possible to change or delete the project. Of course you can find all examples in the new projects documentation as well. 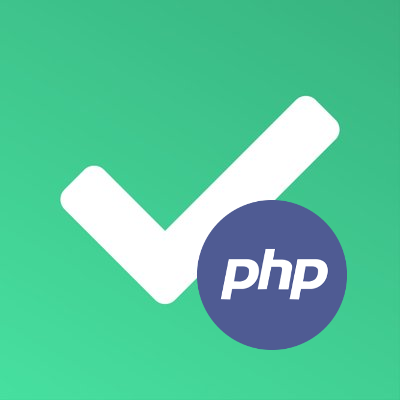 With the changes and features of today it is now possible to create, read, update and delete projects. In the coming days the product API for which you need the Projects API will be integrated. Your isPrivate (and also isPublic method seems a code smell to me because it has a general-exception-catcher.. This method should be as simple as ->private and if there is exception e.g. getProjectData() is null, then let the exception be thrown and get caught earlier.. See this post for more details. Your isPublic() could be just return !this->isPrivate() which removes the code duplication. Code duplication for example, the Project and Product both have same implementation of refresh() could this be moved to a parent class? hola soy aspirante a programador pero en mi pais no se ve esta profesión que me recomiendas para empezar a aprender por mi cuenta? Bro How to start Steempunk? There's no option to login or signup how do I get started?